Some players send signals on their debut by scoring a century or even a double century. While some of the players have a decent game on their debut and continue to improve from there, there are few cricketers who were dismissed for a duck on their ODI debuts but went on to become great players, had an impact of their own and were fortunate enough to lead their side. Here, we look at five popular cricketers who had a horrific start to their one-day career but eventually became captains of their respective countries. Angelo Mathews is the backbone of current Sri Lankan team and is also responsible for some of the most famous victories of Sri Lanka, the most recent being the one where Mathews led the team successfully to win against India chasing 322 in ICC Champions trophy 2017. 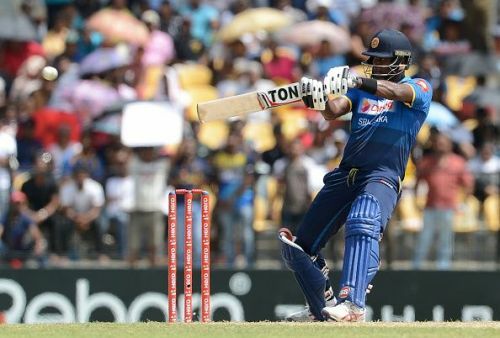 His heroics are enough on a large number of occasions to take Sri Lanka over the finishing line. As a batsman, he is known as a power hitter who can hit the ball out of the park with ease. On his day, he is a nightmare even to some of the world's best bowlers. Mathews played his first ODI on 28th November, 2008, against Zimbabwe. Sri Lankan team won the toss and chose to bowl first and bundled out Zimbabwe for a mere 146 in 46.3 overs, thanks to Mendis' 6/29. Coming in to bat when the scoreboard read 101-6, after facing eight deliveries, Mathews was dismissed by Ray Price on the ninth delivery for naught on his debut innings. Sri Lanka went on to win the game thanks to Jehan Mubarak's 60(98). Mendis was rightly adjudged man of the match for his six wickets. Angelo Mathews eventually went on to become the captain of Sri Lanka in ODIs when India toured Sri Lanka for a five-match series in 2012. India went on to clinch the series 4-1.